Indoles are a type of phytochemical which are mainly associated with prevention of cancer. Found in cruciferous vegetables, it acts as a strong antioxidant and protects the lining of body cells. 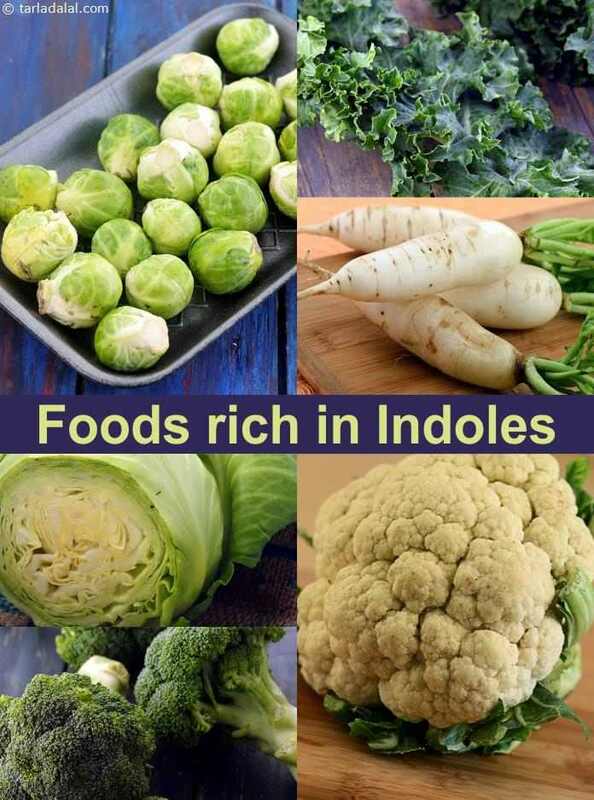 Indole-3-carbinol is the form found in these vegetables. 1. Prevents various cancer like cervical cancer, breast cancer, prostate cancer, colon cancer, lung cancer etc. 2. Helps reduce the inflammation in the body. 3. Acts as an antioxidant and scavenges the harmful free radicals. 4. Helps body get rid of toxins and cleanse the system. 5. Aids in maintaining estrogen balance. Let’s together reveal the art of cooking with these 5 healthy ingredients…. Since cooking reduces the amount of indole present in the plant food to some extent, it’s best to include them in the form of salad in your diet. But there are a few more options added here to bring variety in terms of colour, texture, flavour and aroma to your menu.